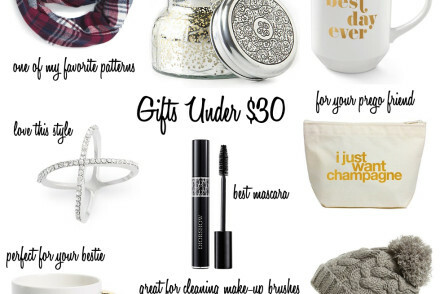 I am so excited to share another great gift guide. This one is for your traveling friend. 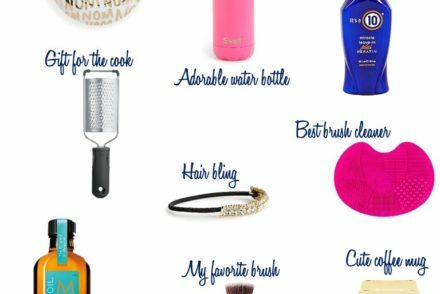 I HATE packing and unpacking for trips so here are a couple things that can make it easier. Starting with the laundry and shoe bags. It keeps the rest of your things clean in your bag and easier to do the laundry once you get home. It’s also fun to get a new make-up bag. I love these styles with funny sayings on them. Next is an eye mask that doesn’t ruin your eye make-up. This way when you’re on a long flight and catch some zzz’s you wont wake up looking like a mess. Another great gift is the packable blanket for your germaphobe friend because let’s be honest…. airplanes are dirty. Lastly, everyone loves a new pair of pajamas. I remember the last girl’s trip I went on, most of us bought new jammies for the trip. All of the items linked above are from Shopbop. They have free two-day shipping if you’re an Amazon Prime member. So all these gifts are great for the last minute shopping. See something you like with a higher price point? Group gifts are the way to go. My sister and my best friend always seem to be doing different group combos to buy one another more expensive gifts. Happy Shopping! Check out my daughter saying the pledge on my Facebook page. Last Minute Christmas Party Ideas…. I love those bags that organize shoes, and dirty laundry. It makes for an easy unpacking process when you get home, and you are right, they make great gifts. I need those pajamas! I’m flying to Hawaii next week and dreading the long flight..I need that sleep mask! Great guide!! Love that watch so much!! That travel blanket looks so perfect! Need those jams, too! RED CARPET SKIRT + KNIT JUMPER!!! !